NEC-SE is proud to participate in Ravens Challange ASIAN 2018 for the second year in a row. The Strategic importance of Thailand in finding a resolution to the problem of global terrorism in Southeast Asia must not be underestimated. Ravens Challenge 2018 ASIAN, organized and owned by Ravens Group International, LLC. is at the tip of the spear when it comes to coordinating the global effort to counter terrorism in Thailand. Ravens Challenge® is the most massive multinational interagency capacity building Counter Improvised Explosive Device (C-IED) single event program in the world. The program was created to provide Military, Police, Academia, and Private Agencies within Thailand and Regional Partners an opportunity to build and shape Explosive Ordinance Disposal (EOD), CIED, Counter Weapons of Mass Destruction (CWMD), and counter-terrorism capacity streams. Ravens Challenge® initially focused on C-IED, but has expanded to include all aspects of counter and anti-terrorism, insurgency, and high threat criminal activity. Multinational Police and Military EOD, Special Weapons and Tactics (SWAT), Forensics, K9, Intelligence, and all government and pre-approved private parties are invited to attend. 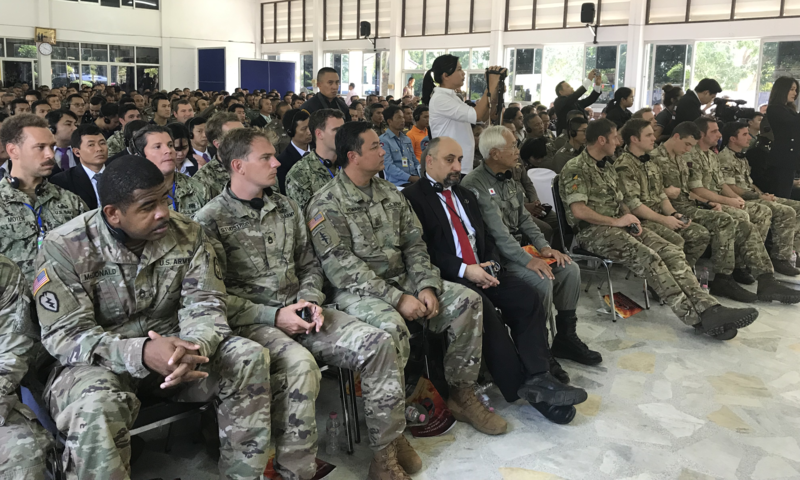 The global Ravens Challenge® in Thailand integrates a Technology EXPO, Training Scenarios, Major Interagency Exercise Series, Classrooms, and Seminars/Workshops into a two-week program that is unmatched anywhere. Ravens Challenge® ASEAN 2018 is hosted and facilitated by Royal Thai Police Special Operations Division Unit 191(EOD), and the Thai EOD and counterterrorism community. The Ravens Challenge® Technology Day is sponsored by the Defence Technology Institute (DTI). Ravens Challenge® is attended by teams from Thailand’s EOD teams (police, military, private), the Thailand Bomb Data Center, Royal Thai Police Science and Forensics Department, as well as many other C-IED and EOD technicians and support personnel.